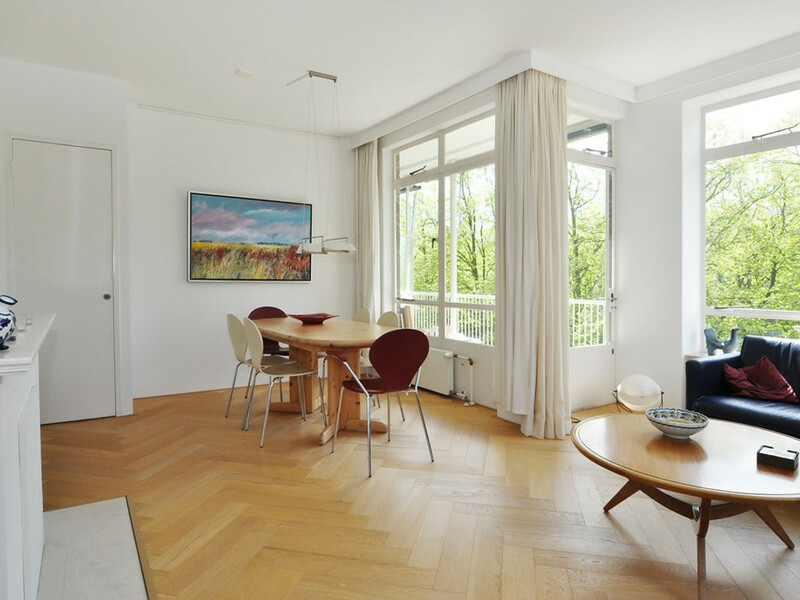 On walking distance of the beautiful "Park Clingendael" and the "Haagse Bos" beautiful and light 2 bedroom corner apartment on the 3rd floor with sunny balcony, storage in the basement. Very well located to high way, public transport and shops. Central closed entrance, elavator to 3rd floor. Entrance apartment, L-shaped spacious hallway with fishbone parquet floor, modern toilet with washbasin, modern bathroom with shower, sink and design radiator. Very light corner living room at the front (4.00x4.60), also with fishbone parquet floor and door to balcony. Glass sliding door to side room (3.50x3.3.40) (als possible to be used as bedroom) which can also be reached from the hallway. Spacious bedroom (4.75x3.40) at the back. Modern kitchen (3.35x2.25) with hardstone counter top, appliances, washing machine and door to second balcony.